Home / Garden Sheds / Can we make garden sheds to specific sizes? One of the most common questions we are asked is can we make a shed a specific size to suit a specific area? Of course we can! 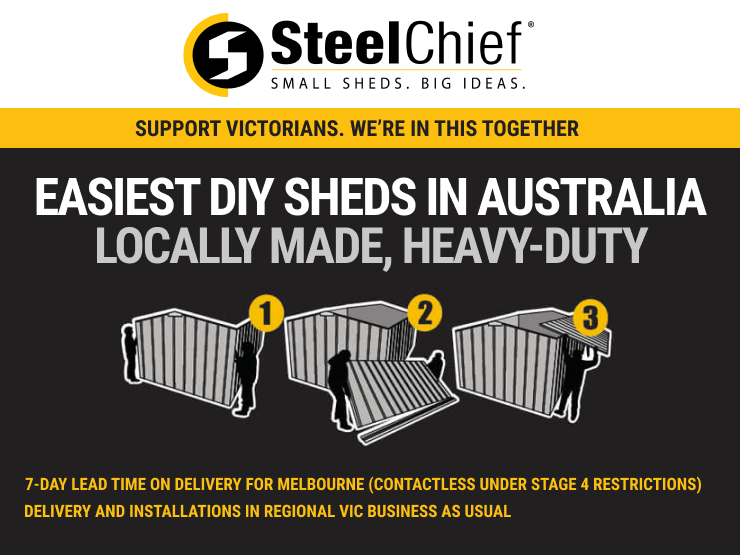 SteelChief has vast experience in designing and manufacturing sheds to fit tight spaces, helping the customer utilize what would otherwise be dead space. The most common example of this is making a shed to fit down the side of a house, which is often long and narrow and may require doors at each end to walk all the way through. These sheds are often installed hard up against the side of the house with the water hitting the shed and falling away from the house. These sheds are great to help store items such as bikes, garden equipment and other household goods that may be just left around the backyard. Another example of what we can do is reducing the height of a shed to fit under a structure like a window. This essentially makes a storage cabinet in which we can add multiple doors to allow easy access. These are great down the side of a house but are also really useful inside structures like garages or carports. Essentially we can manufacture garden sheds to whatever you like! This even includes sheds that are trapezoid and triangle shapes. Ask us today about how we can help maximise the amount of storage space around your home!